PowerPoint has made the trips over to video editing software less and less with the new tools. One of the tedious items was changing the in/out point of videos. That is where the video starts and ends. This can now be easily set in PowerPoint. 1. Here is my sample video. For an easy visual, it is a countdown from 10 to 0. But I need a video that counts down from 5 to 0. 2. Select the video, and in the Video Tools/Playback tab, click TRIM VIDEO. 3. The Trim Video dialog box opens, showing the selected video AND the start and stop points. 4. Sliding the green start point marker to the right adjusts where the video will begin playing from. I just slide until I see the number 5 on the video. 5. Now the slide shows the start of the video at the needed location and the presentation is set to go (all without opening a video editing application!). 4. Follow instructions to download to your computer. 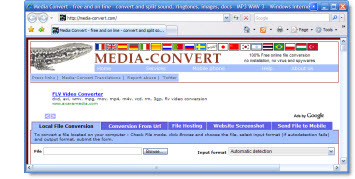 8: Convert the .FLV video to a PowerPoint friendly .WMV format. 9: Click OK and following instructions to convert and have file emailed you. So you have found the perfect video for you analogy - on Youtube. 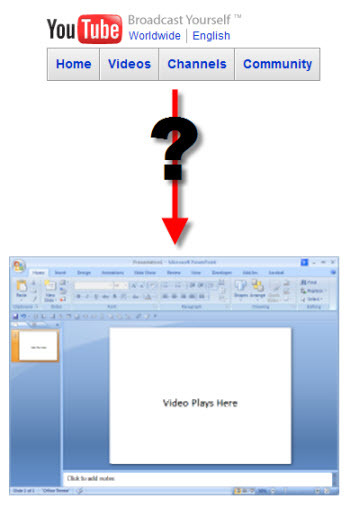 The question I get a lot, is how to play that video in a presentation. There are a few issues that make this a bit complex. In this post I'll overview the issues and in the next post show my process for making it all work. - YouTube (Google, Soapbox, Metacafe, and almost all other online video sites) is an online video, not on your computer. - If you download the video, it is an .flv (Flash Video), which a format PowerPoint does not support. - Nearly all online video sites automatically run a compression filter to make the file size smaller (they are storing ALL of these videos on their servers, so the smaller the file the more they can store and the less bandwidth needed to playback). 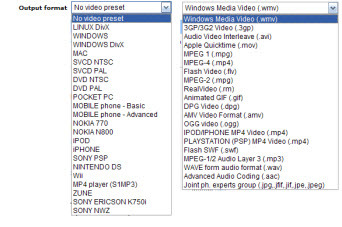 Highly compressed videos mean lower playback quality. Can a Video Morph in PowerPoint? Can a video morph in PowerPoint? The answer is yes (but not completely). The great thing is - a video placeholder works with Morph. Here is my two slide sample, the video on the second slide has been resized to full screen. In the demo video below, the sample video growing to full slide size with a Morph transition works perfectly. However, due to a limitation of how PowerPoint plays videos, a video cannot play across slides. In this sample, the visual works nicely with the 2nd slide set with a shorter slide transition duration (morph) and a Play-with-Previous to have the video start playing instantly after the morph finishes. But a video with audio or content that would look awkward with a pause will not work as well (visually). Inserting video into Powerpoint is an easy task. Using the video playback bar also makes controlling the video playback easy. The playback bar is available in slide edit view - when a video is selected, it appears. The playback bar can be used to preview the video, click-and-scrub through a video, pause a video, and see a live time code. 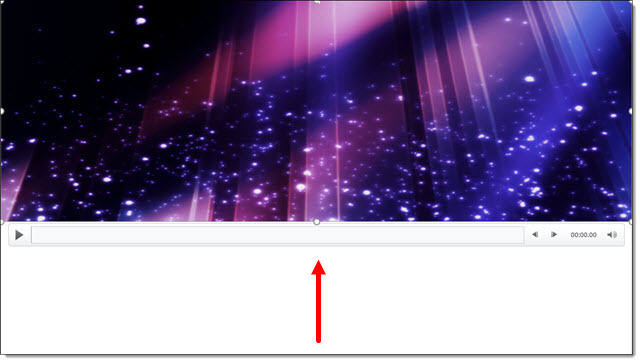 During a presentation, when the mouse is moved over the video, a simplified semi-transparent playback bar will pop up. Most of the same functions are available; time code and incremental incremental jumps are not on the playback bar in slideshow. The playback bar position cannot be moved (although this functionality is definitely on my wish list for the Microsoft Dev team). When the cursor is moved off the video, the playback bar hides almost immediately (and reappears with any mouse movement over the video). Timeline bar (click anywhere on timeline and jump video to that position, click-and-drag and "scrub" through the video forward and back). Volume Control (very helpful for muting a video during a presentation). The semi-transparent playback bar is not overly distracting because it's nicely designed. Here are a few examples over different color videos. In addition, these two videos are on the same slide, side-by-side. See demo video of this slide below. Here is a video demo of interacting with videos during a slide show. 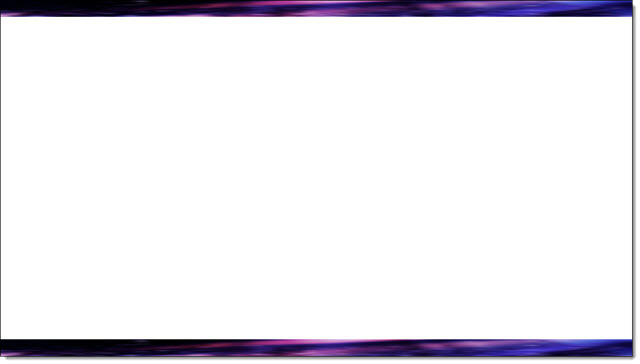 What we're doing here is creating a top and and a bottom banner by inserting a stretched video with animation. There is a video demonstration below. The video used for this blog was sourced from Videoblocks.com. The aspect ratio of HD MOV 1920 x 1080. 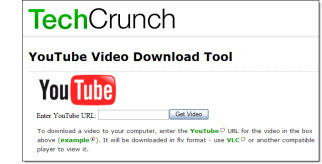 To insert a video > insert tab > video > for this blog I am using the “VIDEO ON MY PC” option. This will insert the video at original aspect ratio 1920 x 1080. Scale the video to fill the width and height of page. Scale the video from the bottom/center tab of the video to shorten the height. This creates a scaled video banner. Duplicate and send the other video to the bottom of the page. 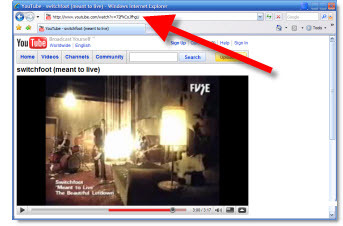 Select both videos > Animation Tab > Click Play > Click the Animation Pane > Start with Previous. This allows both videos to be played at the same time on the initial startup. With both videos selected Click on > Video Tools Tab, then Playback Tab > Start Automatically > Loop until Stopped. This allows both videos to play automatically and loop in Slide Show Mode until stopped. 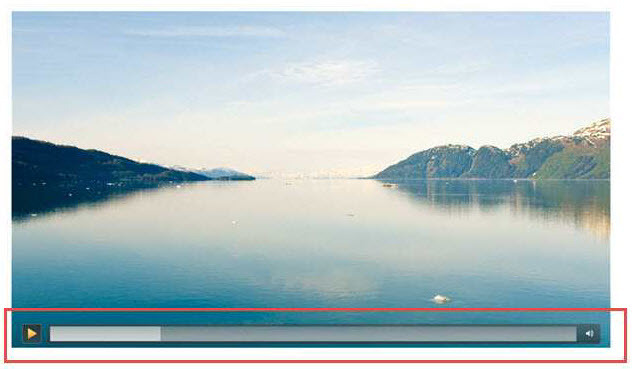 Pro for stretching a video: By using a stretched video, the user can display the video in numerous shape and scale options, creating a unique styling display. Cons for stretching a video: Stretching a video may work for most abstract displays, however it will not retain the original scale ratio of the object being displayed and will result in ruining the original image. Video in presentations has been a big item for me over the years. 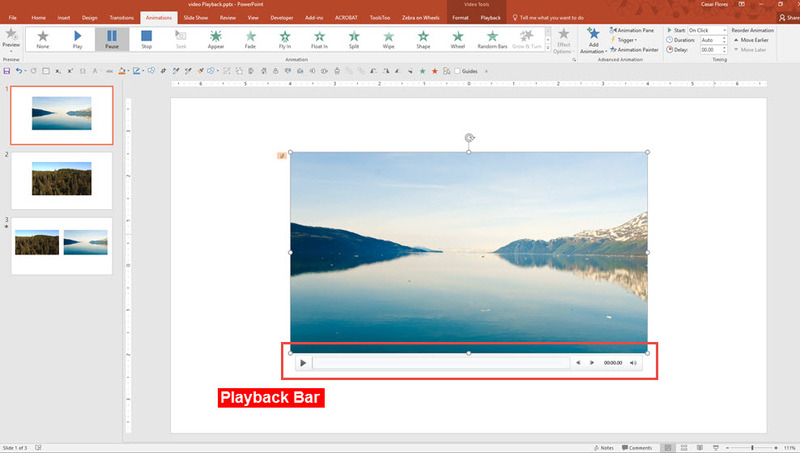 With each new version, and update, of PowerPoint I am constantly disappointed in the default settings applied to inserted videos. Currently, and in all legacy versions, when a video is inserted the default animation settings is a Trigger animation. A trigger animation is 'triggered' one of two ways, direct interaction (ie. move mouse on screen and click on the programmed item) or secondary action from a programmed animation (ie. when one item is animated it activates the trigger animation). So, when a video is inserted onto a slide and then present, the video will not play until you move the mouse cursor on the slide and click on the video. Obviously for majority of my meetings the goal is to hide PowerPoint (and hide any software) to create a seamless environment where things 'just happen'. See a mouse move across a screen is a bad thing. Up next is a quick step-by-step tutorial on changing the video animation settings to what we use at TLC for virtually all presentation videos. Video in presentations has been something I have used for many years. PowerPoint has vastly improved its video features, but currently, and in all legacy versions, when a video is inserted, the default animation settings is a Trigger animation, which is something I am constantly disappointed by. A trigger animation is "triggered" one of two ways, direct interaction (ie. 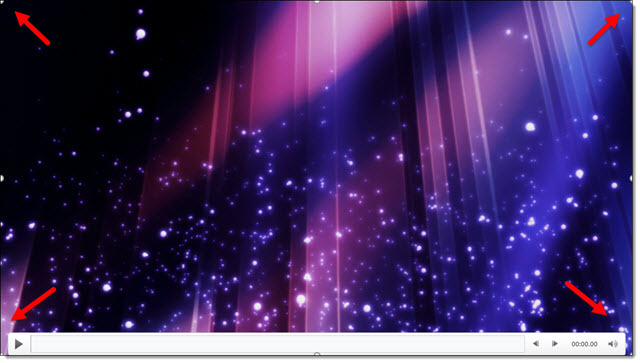 move mouse on screen and click on the programmed item) or secondary action from a programmed animation (ie. when one item is animated, it activates the trigger animation). So, when a video is inserted onto a slide and then present, the video will not play until you move the mouse cursor on the slide and click on the video. Obviously, for majority of my meetings, the goal is to hide PowerPoint (and hide any software) to create a seamless environment where things "just happen." Seeing a mouse move across a screen is a bad thing. Up next is a step-by-step tutorial on changing the video play animation settings to eliminate the need to see a cursor on the presentation screen. PowerPoint has some very good video features, such as the ability to play multiple video formats, embed videos into the slide deck file, visually stylize the video and export video from the PowerPoint. It is the export video feature that is being used for this tutorial. 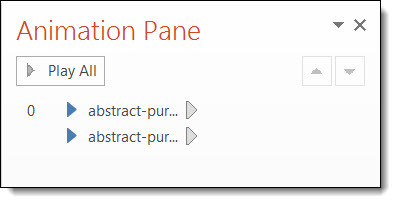 Here are three videos that are inserted into PowerPoint 2013. Each video is set to auto play, one after the other. The result is a single video file that was previously 3 separate videos.